Oprah Winfrey.. | A Moment With Me..
Winfrey at her 50th birthday party at Hotel Bel-Air, Los Angeles, in 2004. I’m admiring her..She is a successful women in this earth..smart,educated n intelligence..kind n like to help poor people..full with love..has a high spirit eventhough get so much trouble during her early age..what is in her mind actually..I want to be like her.. Oprah Gail Winfrey often referred to simply as Oprah, is an American television host, media mogul, and philanthropist. 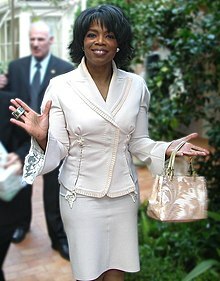 Her name Oprah (originally Orpah after the Biblical character in the Book of Ruth).There are conflicting reports as to how her name became “Oprah.” She claimed that her family and friends’ inability to pronounce “Orpah” caused them to put the “P” before the “R” in every place else other than the birth certificate. Her internationally-syndicated talk show.The Oprah Winfrey Show, has earned her multiple Emmy Awards and is the highest-rated talk show in the history of television. She is also an influential book critic, an Academy Award-nominated actress, and a magazine publisher. She has been ranked the richest African American of the 20th century, the most philanthropic African American of all time,and the world’s only black billionaire for three straight years. Born in rural Mississippi to a poor teenaged single mother, and later raised in an inner city Milwaukee neighborhood, Winfrey was raped at the age of nine, and at fourteen, gave birth to a son who died in infancy. Sent to live with the man she calls her father, a barber in Tennessee, Winfrey landed a job in radio while still in high school and began co-anchoring the local evening news at the age of 19.Her emotional ad-lib delivery eventually got her transferred to the daytime talk show arena, and after boosting a third-rated local Chicago talk show to first place, she launched her own production company and became internationally syndicated. 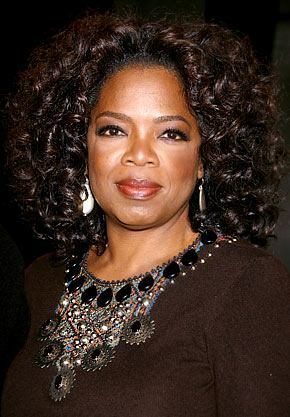 There are more and more information about her in http://en.wikipedia.org/wiki/Oprah_Winfrey..You can also can surf in the internet , www.oprah.com, a website created by Winfrey’s company to provide resources and interactive content relating to her shows, magazines, book club, and public charity. Agar Sup Ayam Tidak Berbau Hanyir. alobaghdad on Sambal Belacan Goreng..
TANYASIFU.COM-segala persoalan anda akan terjawap disini..